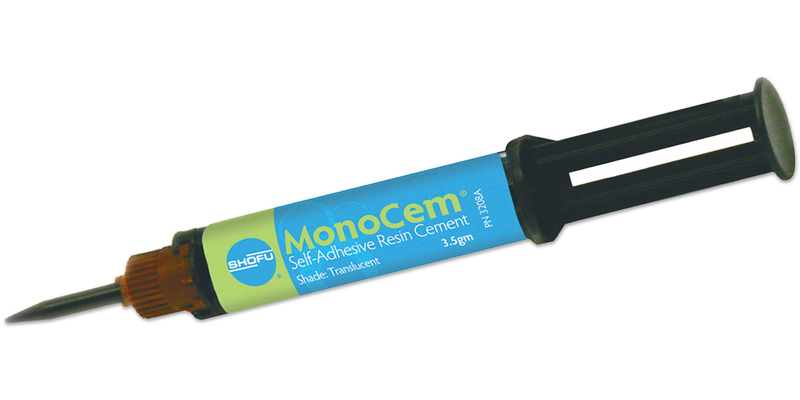 Self-adhesive resin cement containing a self-etch primer. Bonds to all substrates, has high retention values, eliminates sensitivity, has high fluoride release, is moisture tolerant, and is easy to clean-up. Dual cure. Contains: 2 x 3.5g dual syringe, 15 automix tips, 2 OneGloss PS polishing points.